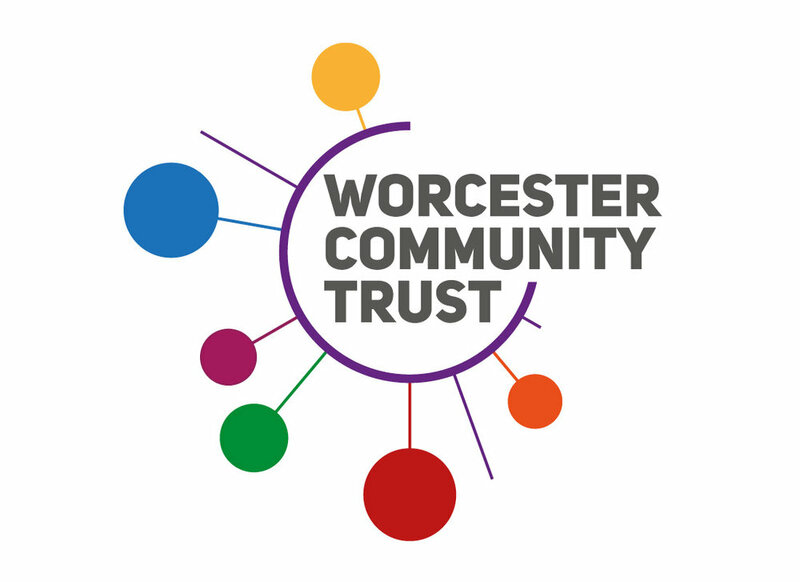 When we were contacted by Worcester Community Trust, a local Worcester charity that works within the city communities to offer services and facilities via six community centres, initially they asked to ‘freshen up’ the identity of one of their main centres and develop a marketing style to advertise the facility and services on offer. This first project was for the King George V centre on Brickfields Road, Worcester. 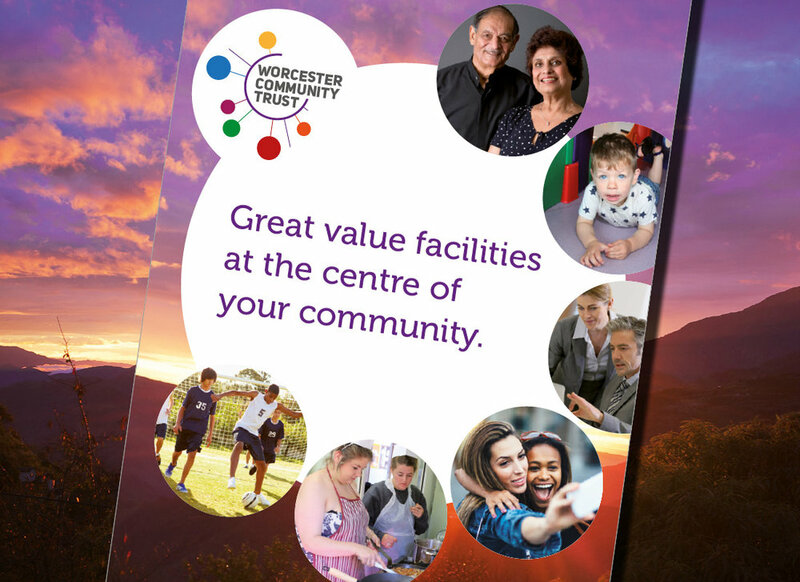 We developed a new logo and style for the centre, new signage and marketing devices to get any particular message out their to the local neighbourhood. This went down a storm (if we say so ourselves) so the project grew to develop new identities for their remaining centres, another five and create an new brand identity for the charity itself. This was quite a challenge as the charity wanted each centre to have an individual look and feel, something the local residents, who already knew and used the centres, could relate to and understand. Each centre is unique. Depending where in the city it is located, their is diverse population to accommodate and provide services for. We researched each centre on its own particular merits and developed a new logo and colour palette for each that represented what the centre stood for. Along side this we created a new identity for the charity itself. 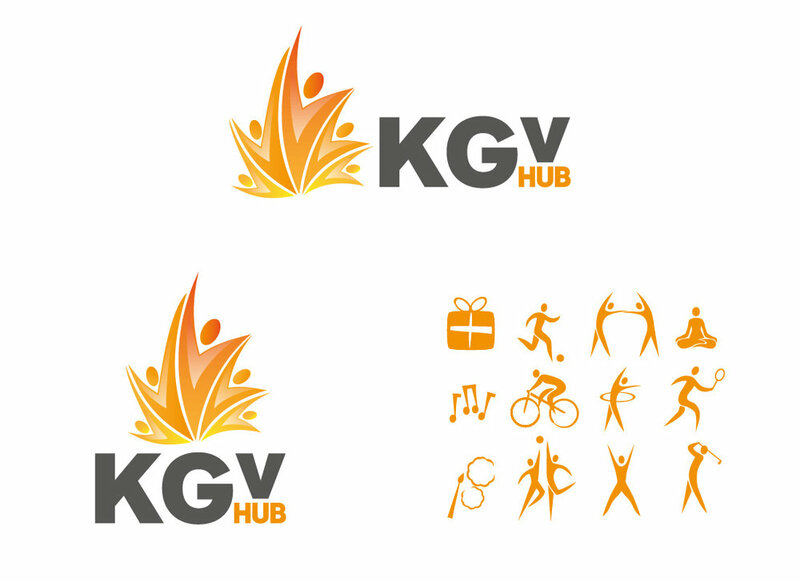 A symbol of connection, this main identity/brand translated down to each of the centres (by the way which are all now ‘hubs’) marketing materials. This was so it is easy for the charity to customise their own materials in the future as well as creating a consistent unified look across all of the hubs while retaining individuality. We produced a hire price guide for the charity, showing hiring costs for the facilities at each of the hubs. Along with this, master poster designs for events and volunteer services were created which can be reproduced inexpensively for each hub, staff name badges and a brand guidelines document to help staff implement the new identity. A new website was also developed and built for the charity. You can visit it here.